Why do we need the best WiFi hotspot software? For a long time, I have wondered why windows wasn’t built with a one-click feature that would allow me to share my internet without a router, just the same way I receive it. I guess they didn’t think of it. But let’s face it, maybe 20 years ago there were other means to go about our day to day businesses, but the internet has now become a fundamental part of our lives as it is difficult to work without it. It won’t be hard for you to agree with me that most of the devices we work with are inbuilt with features that require internet through WiFi. I’ve always ignored adverts of WiFi Hotspot software that has crossed my path until I discovered how useful they could be, now I use them daily. I’ve realized that windows have this feature, but it can only be accessed using command prompt. Call me a technical idiot if you want, but I don’t think command prompts are user-friendly and I’m sure I’m not alone. These WiFi Hotspot apps are a more friendly way to use hotspots, and with my software and just one LAN cable and no modem, no multiple cabled device, I share internet accordingly without any hindrance. Although there are several ways to convert your windows PC to Hotspots, I’ve tried most of them, but from my experience with WiFi Hotspots, I would like to write a review on ten of them that I consider the best. 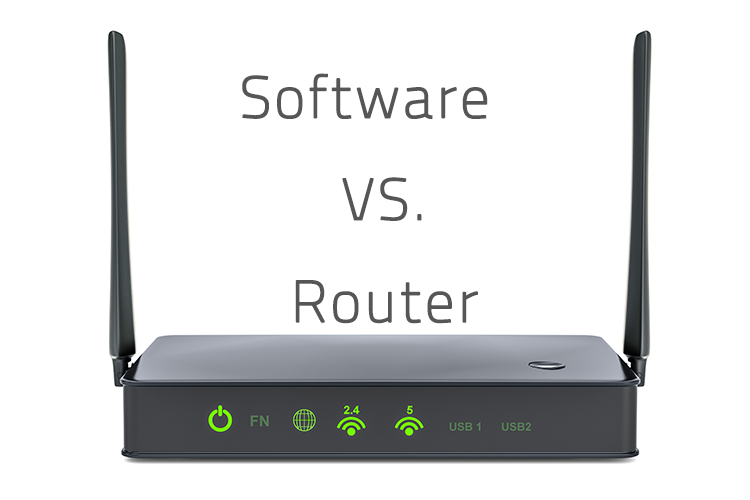 WiFi Hotspot Software vs. Routers? Who should use WiFi Hotspot Software? I had a router without WiFi hotspot, so sharing internet to all my devices was only possible via an Ethernet cable, so I used the router with my laptop alone. Now, with the WiFi Hotspot software, I make hassle-free transitions from my wired router to my wireless devices. You can use your laptop to extend the range of your connection from your router. Imagine having the privilege of the range of your router added to the range of your PC hotspot. For me, even though wireless routers might be able to share internets to your other devices, I think using the WiFi Hotspot software installed in my PC windows has an advantage because I have one less hardware to stress over. Well, with the way internet is required for almost all activities, coupled with our several WiFi featured devices, WiFi Hotspot Software is no longer an option for every working person. and many others, having a WiFi Hotspot software is mandatory. Many of the reviews you would have read related to this topic, could have been doctored, but as I mentioned above, I have survived without PC Hotspots. Even though I’m only selecting a few I consider to be the best, I’ve had experiences with various Wifi Software. I evaluated each one by connecting it to my TV, Blu-ray layer, my set-top box, and my game console, to know how they function. Now, I would like to take you through a few WiFi Hotspot apps that are capable of turning your windows PC to a virtual router. These are software I trust to give you the best outcome. 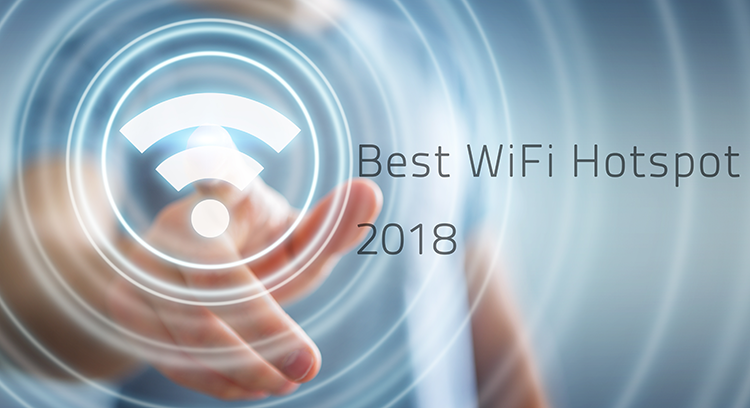 Free WiFi Hotspot is recognized as the No.1 WiFi Hotspot software, so it seems right for it to be is the first in my review. One main advantage is that it is friendly to use and stress-free to set up, so you don’t need prior knowledge of hotspots to get it running. The software enables you to create hotspot easily and connect to all your other hardware like your iPhones, iPads, game consoles, smartphones, smartwatches, your media layers and even any other WiFi featured laptop you like. When I use it, it supports all kinds of network coverage from 2G/3G/4G to GPRS and also USB Tethering connections. I could also set up my preferred coverage from my modem that fed internet to my other devices, and my neighbors could also enjoy the same network speed. Unlimited connections to all your hardware. Saves the cost of buying routers. No trials or limitations, it’s free! No settings for data limit per hotspot session. 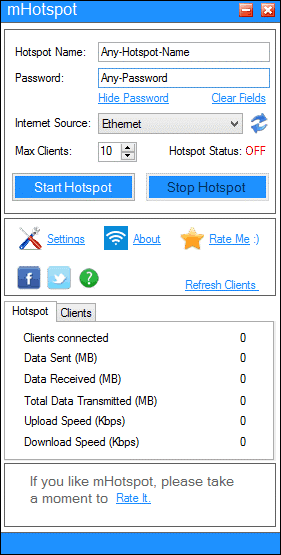 The Free WiFi Hotspot software has all the quality to perform its function. I recommend this software because it is the easiest and it’s really free and very stable. As the name of this software comes, it is free, no trials or limitations. 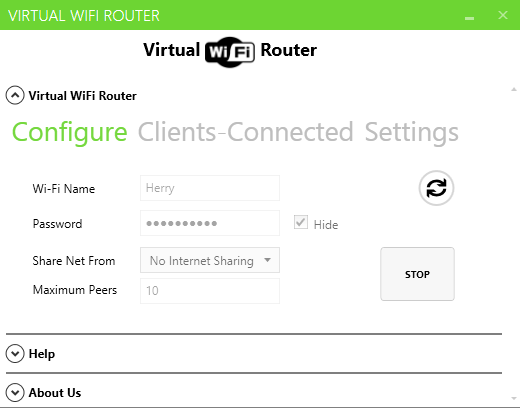 You can stay connected to free Hotspot and have unlimited connections, also like other WiFi Hotspot software, using this virtual WiFi router would help you save the cash of purchasing another device. One thing about connnectify is that has both paid and unpaid versions. Both versions allow sharing of internet connections from your PC to all other devices, but the problem I had with the unpaid version was that the hotspot would stop and have to be restarted after every 30 mins of usage. The software would allow you see the amount of internet consumed and speed you using on each of your devices. The name is not completely customizable. No matter how much I struggled with changing the name, it would always have “connnectify” before it. You might have issues with that if you intend to use it for a public hotspot, but for me, that’s not a problem, it didn’t make me flag connectify as a bad software. But it didn’t allow me to allocate network speed to my devices, and transfer files or videos with this app was impossible. Shares internet to all devices. Stress-free installation with effective signal range. Windows show internet speed consumed by each device. 30 min timeout which interrupts connection on the unpaid version. Not completely customizable Hotspot name. Allocation of network speed to various devices is not permitted. Although the only hindrance from using this app professionally is the name that carries “connectify,” but apart from that, I recommend it. 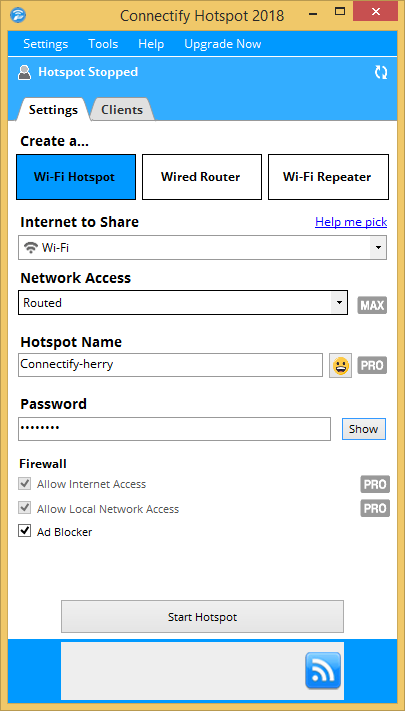 Connectify WiFi Hotspot software works on almost every windows version. It has an easy to use interface with good design, even though I wouldn’t say it has the best design. The functions are easy to access and although I’m not an expert, installing the app wasn’t a problem either. The main feature that makes Hosted Network Starter is different from other WiFi Hotspot Software is that it does not require installation. It is a very portable software, so I carry it around in my USB or any of my storage devices and use them anytime I want. It has a simple design, and it allows you share internet just like other hotspot software. You can also secure your connection with WPA2 encryption. Another thing I like about the Hosted Network Starter is that it showed me the list of devices connected to my PC and also gives a detailed error message if the configuration is not correctly done. Allocation of network speed is not permitted. I recommend the Hosted Network Starter for secure connections. It is not an installable app, but it is a decent software that features graphical user interface and can meet your internet needs. What I admire about MaryFi WiFi Hotspot Software is the vast WiFi range. I have experiences with routers, but this app genuinely reduces my need for them. Unlike other cluttered apps, the interface is simple. 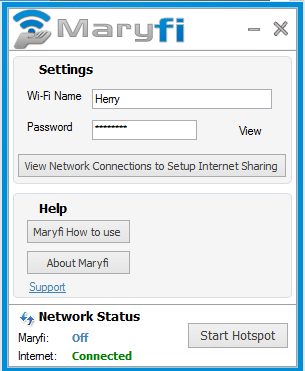 I use the MaryFi WiFi Hotspot Software as a repeater, receiving network from my router and sharing to my devices. A big plus is that without attaching cables to my devices, access shared files between my devices with this app. You might not like this if you use OS older than Windows 7 because MaryFi wouldn’t be compatible with your device. This doesn’t bother me as I use versions above this windows. Gives access to shared files. It can be a network repeater. Not compatible with OS older than window 7. I recommend MaryFi because it is free and you don’t have to pay for any advanced versions. The software can share files, and I use it to connect devices for multiplayer games. Efficiency is a perfect description of My WiFi Router. It can create hotspots with high range signals and share to multiple devices; it also supports sharing of files across them. My WiFi Router is great for regular users. It has all the complete features you would require from this category of software. It supports sharing of several kinds of connections from LAN, 4G, and even another WiFi; you also customize the hotspot’s name of your Hotspot to what suits you. The interface allows you see all the connected devices and manage them; you can also allocate the WiFi speed individually. Supports sharing files across devices. I recommend this app because I didn’t have any difficulty adapting to it. Also, when I use My WiFi Router for sharing videos across multiple devices, I get to determine their broadcast speed. This app is very reliable and free, so I don’t pay. 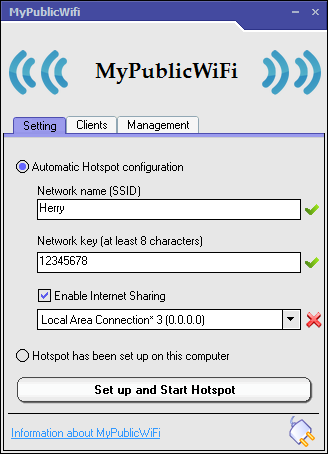 As the name states, if you want a hotspot app for public use, then use My Public WiFi. It allows you share internet and check the sites visited by each connected devices. The interface is good; you can also choose a preferred language for this software. It supports password protection, and you can restrict some file sharing apps on the devices connected to this WiFi Hotspot Software. It supports accountability by tracking hotspot users. Yes! My Public WiFi supports accountability, and it enabled me to use passwords to secure my hotspot and also blacklist some of my neighbor’s pesky devices. Although it is the most widely used WiFi hotspot software, and it doesn’t have popups advert as other free apps do. It is also secure and comes with a password protection option. Yes! I recommend the 160WiFi Hotspot software because it efficiently performs all the functions expected from it, and also mainly because it never brought up any annoying popups even though it’s free. The mHotspot is user-friendly, it is also secure and can be protected with a password. It can act as a repeater and share internet connection across several devices. It is also perfect for multiplayer games. The fact that mHotspot WiFi Hotspot Software is free and takes only 400KB of your hard disk making it portable and easy to download. It also doesn’t require installation. It can share network between 10 devices, you can fully customize it to your preference, and you can also create a restriction on the number of devices you intend to connect. You can monitor the internet consumption of the individual devices connected to your mHotspot software, by tracking their details. You might have a different opinion on this, but the fact that it drains laptop batteries so quickly, I don’t recommend the mHotspot WiFi Hotspot for professional use. Being one of the first WiFi software companies, they have a reputation for remarkable service. It is easy to install and setup the Antamedia on any PC. 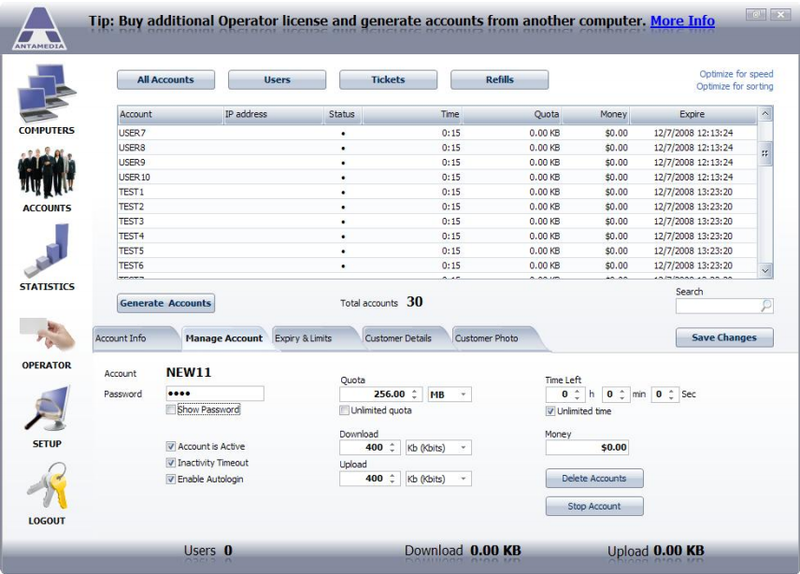 What makes this software different is that you have a “collect payment” option, that either let you share network for free or charge each user. This characteristic makes it a very professional software. When you use this app, you don’t have a monthly payment; you only pay once. The Antamedia WiFi Hotspot Software can connect up to 20 devices to it and have control over all of them. It’s not a free hotspot. Yes! I recommend the Antamedia WiFi Software because of it is the most professional hotspot I’ve used. It is also a very secure software. Another good Hotspot app is the Virtual WiFi Router. It is also easy to setup, and it has an attractive user interface. The program doesn’t run as a background process, so it doesn’t need any installation. 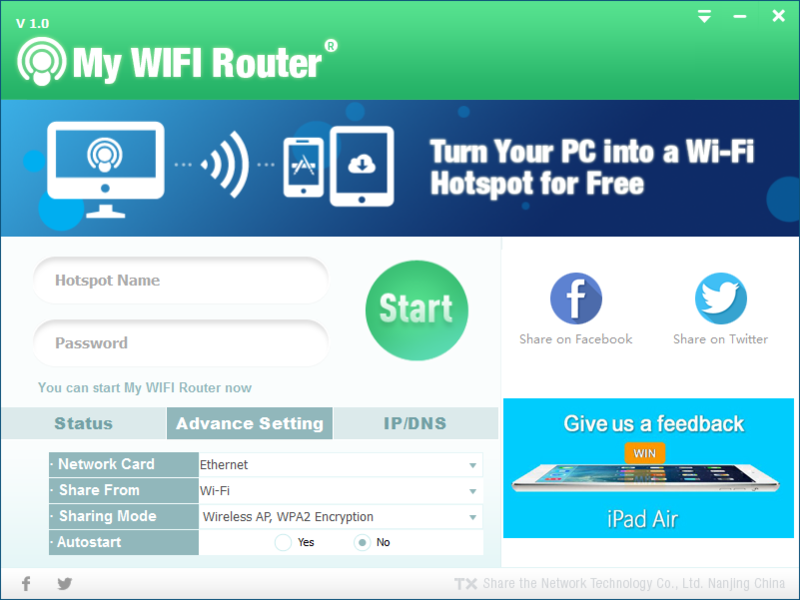 With this software, you can source your internet from other WiFi, Cable, Dial-up, LAN, and Modem share to your other devices. 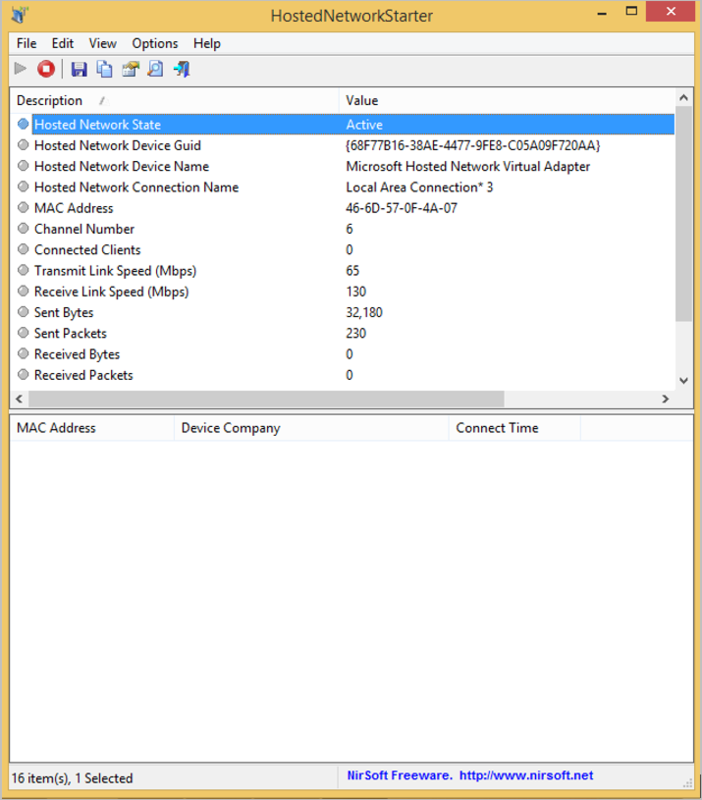 It is free, and you can see the devices connected to it, along with their IP addresses. It is not the best for secure Hotspot. Yes! I recommend because it is an open source software, you have full control of every aspect of the app. It also doesn’t have a background process, your RAM remains unconsumed, and you can make modifications and tweaks to it. At last! We come to an end. 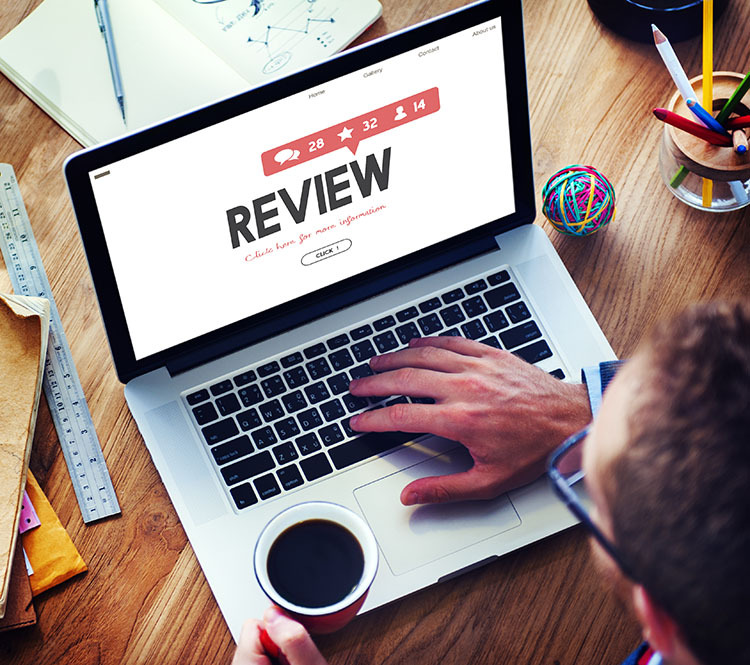 If after this review, you don’t seem convinced to use any the WiFi Hotspot Software, think of the day you would be in a hotel or a conference room where they charge you for internet service per device. Now you see where the advantage lies? So equip yourself with a WiFi Hotspot Software and start saving up. 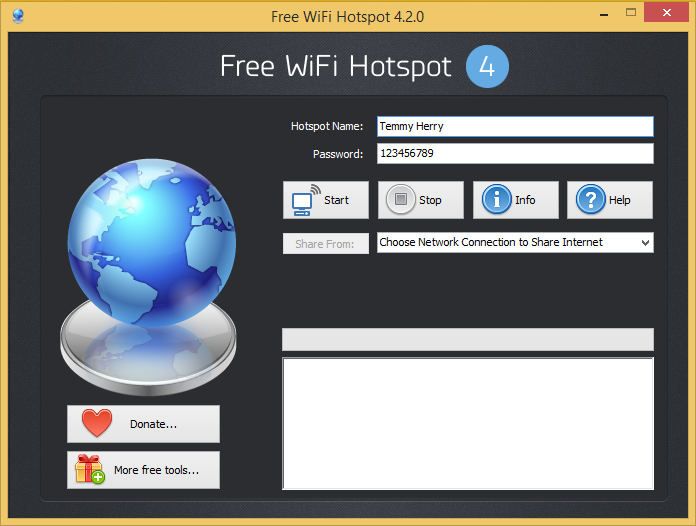 Best Overall Free WiFi Hotspot Software: as the name implies, Free Hotspot Software is free, no trials or limitation. Best WiFi Hotspot Shareware: Antamedia is most recommended for its professional use. Best range WiFi Hotspot Software for Multiplayer Games: your best bet would be mHotspot because it gives uninterrupted connections.